This Christmas break I heard that GOG.com was having a sale whereby the entire classic Fallout series was available for free! Having never actually played the original Fallout I happily "purchased", downloaded, and installed it. About 20 hours of play later I'm through the game and have the following to report. Plot: (Spoiler free) You are a key citizen of an underground vault who's looking for replacement water-generating machine parts in a post apocalyptic 1950's California. The plot is a bit more complex than that but the real plot of the game is about how you experience the journey, exploring and interacting with the few towns and settlements that survived the nuclear holocaust. You can join or fight raiders, mutants, cartels, cults, unmask schemes, investigate rumors, and do most of the things that you would expect from a quality classic RPG of this era. "Freedom": This is one of the oldest RPG's I've played that I felt offered real freedom of choice, specifically in dialogue and the way you interact with the world. You really can be good or evil, rude, or polite to the people you encounter and there are almost always multiple solutions to the problems presented to you in the game. 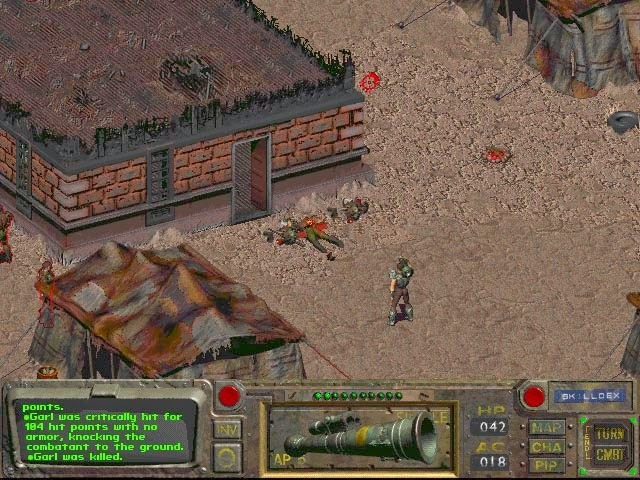 Unlike action adventures like Diablo (which I enjoy for different reasons), I feel that the Fallout series helped set the standards I hold for the "freedom" I expect from a non-dungeon-crawl RPG and the original Fallout is no exception. Fallout requires you to use your brain and actually plan what you're going to do next at times. As a scavenger with a limited weight capacity, do you want to pick up gear that's more useful or more valuable? Can you really afford to waste the last of your rifle rounds in this fight or will you risk close combat? Do you want to target the enemy's leg, preventing them from following you, or their arm, preventing them from holding their weapon? Do you really have the time to be helping out this time while your family is dying of thirst? Fallout also features dozens of variables that will effect its ending. A Direct hit with the Rocket Launcher! Gameplay: While I enjoy turn based RPGs, the S.P.E.C.I.A.L. 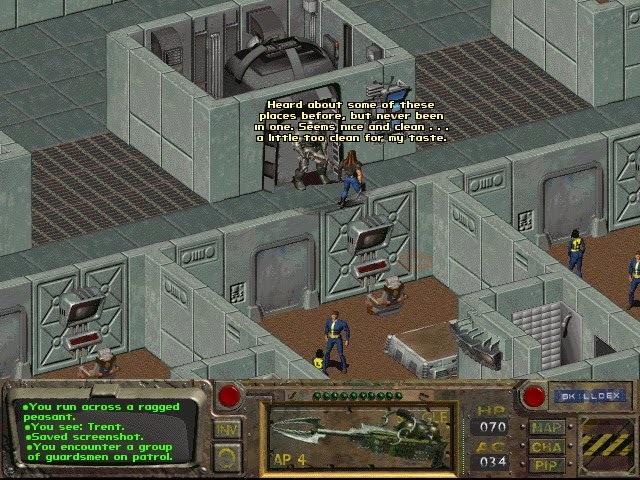 system, and the VATS targeting system it was difficult for me to enjoy Fallout 1 at times because it felt watered down from the future versions of the system which I've become accustomed. Understanding that this is the 1.0 of a game system that's evolved quite a lot, there are significantly less perks available, the scarcity of ammunition more or less invisibly guides you into a specific type of character build/evolution, leveling up feels sort of useless after awhile, and there really aren't many ways to improve your base statistics, but it's still a fairly fun system. However, Fallout is very glitchy in terms of quest acceptance/resolution. For instance, at the end of the game I had no less than 5 fairly big plot-points that I was entirely unable to resolve due to the fact that I'd played the missions in the wrong order, or was entirely unable to interact with a character (through dialogue) properly due to poor programming, or unable to beat a character in a game of chess because of additional poor programming (don't even try, it's a glitch!). Considering that the S.P.E.C.I.A.L. system was created from scratch in mid game development after a disagreement with the creators of the GURPS system (who felt that the Fallout world was too dark) I feel like the programmers did what they could with their limited resources and still made a fun game. Feel: I did a bit of research before writing this and was still unable to conclude if the GOG edition of Fallout was censored or not. 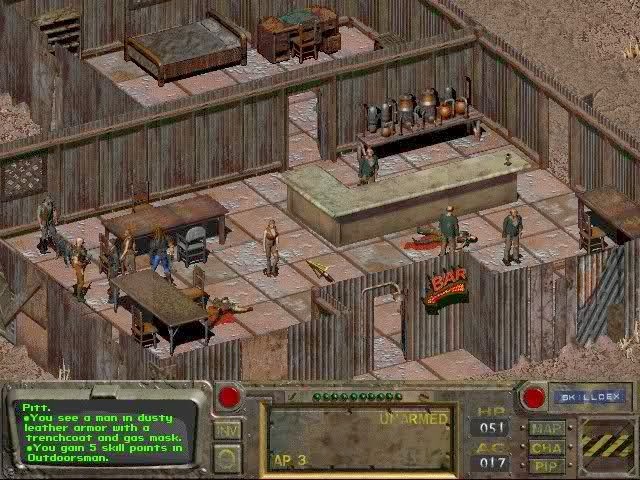 I felt that the because Fallout was only a third as dark as its predecessor, Fallout 2 it was either an issue of post-release censorship (AKA GOG cut content) or perhaps the creators of the game felt it wasn't dark enough and compensated in the sequel. If there were any children characters in the original Fallout game they don't appear in the GOG version, so perhaps that can be some form of measurement if anyone reading this has played the original and can clarify... Possible censorship aside Fallout feels a lot like Fallout 3 in terms of story, world, and characters in that it's quirky, exciting, and adventurous. That is to say it feels like a different kind of fantasy RPG of its era, like Baulder's Gate or Arcanum. There isn't any of the sexual stuff or child-killing prevalent in Fallout 2 but drugs and their respective abusers are still present in small numbers. If you like Mad Max or A Boy and His Dog this game is perfect for you. 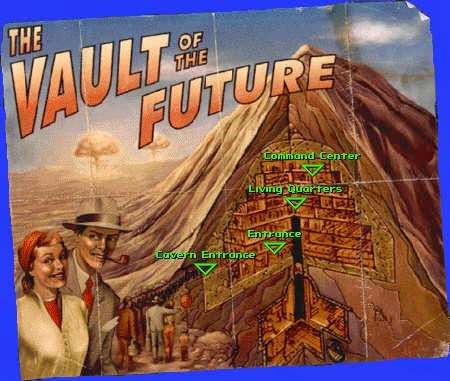 Art/Music: The graphics for Fallout are what I think of as characteristic of the first classic age of PC-RPG's. The few 3D renderings in use for the game's 4 or 5 cinematic, or in conversations with key characters, are obviously dated but they're indicative of the best that 1997 had to offer. In terms of music I felt that the soundtrack, though not entirely memorable, matched the mood the game was trying to convey and created the right atmosphere. Where the game really shines in many places though is surprisingly in its voice acting. It boasts a talented cast, my favorite of which is the classic RPG narrator of the era, the voice I automatically associate with Baulder's Gate, Jim Cummings. Closing Thoughts: The aforementioned quest-based issues: not being able to help the very people I needed to tell something to or not being able to interact with them at all after I'd completed a key mission were frustrating and made me feel less of a connection to the characters and their world. This hurt my opinion of a game I otherwise enjoyed and caused me to halfheartedly rush through the game's final few quests just so I could experience the final really enjoyable things the game had in store at the very end (which were totally worth it!). 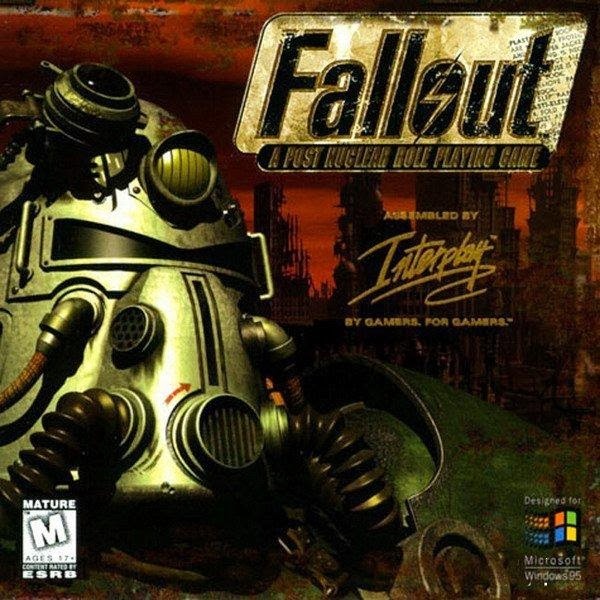 For all my gripes I felt that Fallout was still an enjoyable experience overall and one I'd easy recommend to people before moving on to the greatly improved sequels: Fallout 2, Fallout Tactics, Fallout 3, and New Vegas.